iPhone ‘S’ release years have always had an air of controversy to them. They’re viewed by most as a stop-gap measure until the next true upgrade, despite sometimes selling better than numbered releases. 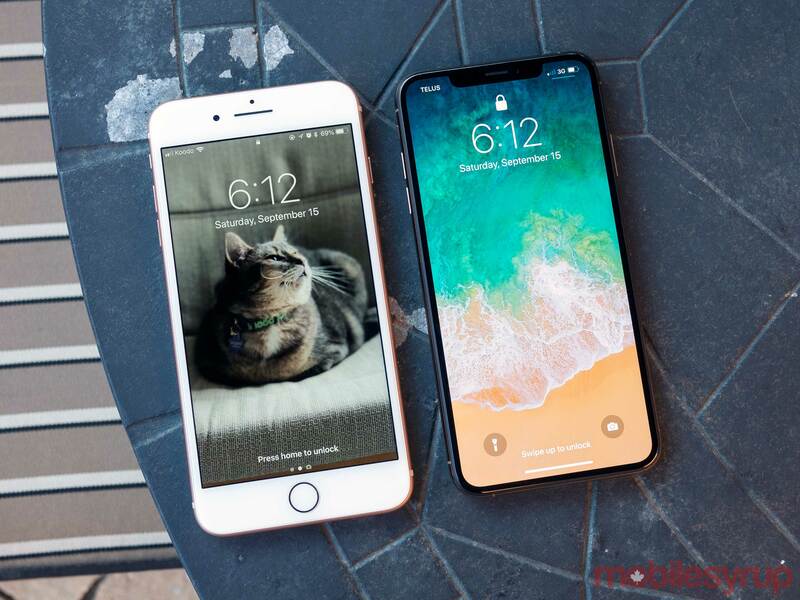 The iPhone XS and iPhone XS Max are so similar to the iPhone X that beyond the new size and ‘Gold’ colour, the smartphones look nearly identical to their predecessor. As has become expected with Apple handsets that feature an ‘S’ in their name, inside is where the bulk of the iPhone XS’ improvements go down. Even then, while the iPhone XS is a more powerful and better device than the iPhone X, there’s very little reason to pick up Apple’s latest smartphone if you’re already rocking an iPhone X. Of course, there are always exceptions to this rule — particularly if you’re fond of large smartphones and aren’t afraid of expensive price tags. This means if you were hoping for an in-display fingerprint sensor, coupled with a complete design revamp, this isn’t the iPhone you’ve been waiting for. Confirming months of rumours, the new design direction Apple established with last year’s iPhone X is set to continue for the foreseeable future. That said, those clinging to older iOS devices, or who might miss the larger display included in Apple’s ‘Plus’ line, will find a lot to like about the iPhone XS. Since the iPhone XS and XS Max look nearly identical to the iPhone X, the controversial notch is back, along with the flashy stainless steel edge running around the edge of the smartphone, as well as its sizable dual camera bump. Although I was fond of the iPhone X’s stainless steel outer edge, it scratched extremely easily; the iPhone X I’ve been using for the last year has spent the majority of its life in a case, yet its outer case is still covered with unsightly scuffs and scrapes. While I can’t speak to Apple’s claims regarding ‘physical vapour deposition,’ what I can say is the stainless steel edge has a new grippy feel to it that seems like it will be more scratch-resistant. Apple also claims the iPhone XS and XS Max feature better durability thanks to an improvement in the smartphones’ nearly all-glass construction. While my Gold-coloured review XS has not yet taken a tumble, the phone’s glass front and rear do feel more substantial when compared to last year’s iPhone X.
Colour-wise, the iPhone XS and XS Max are available in three distinct variants: ‘Space Gray,’ ‘Silver’ and a new ‘Gold’ hue. I’m usually the fondest of Apple’s take on Grey, but, to my surprise, the Gold version of the has grown on me. There’s just something about the way the Gold iPhone XS’ stainless steel edges catch the light that’s unique and visually appealing. The other notable change this time around is that the new iPhone XS Max’s display comes in at a massive 6.5-inches. My initial reaction to the Max was resoundingly negative. During my hands-on with the smartphone at Apple Park Campus in Cupertino, California, the strangely named XS Max felt awkward and unruly. Fast-forward a few days later and I’m not sure I could go back to the smaller XS. 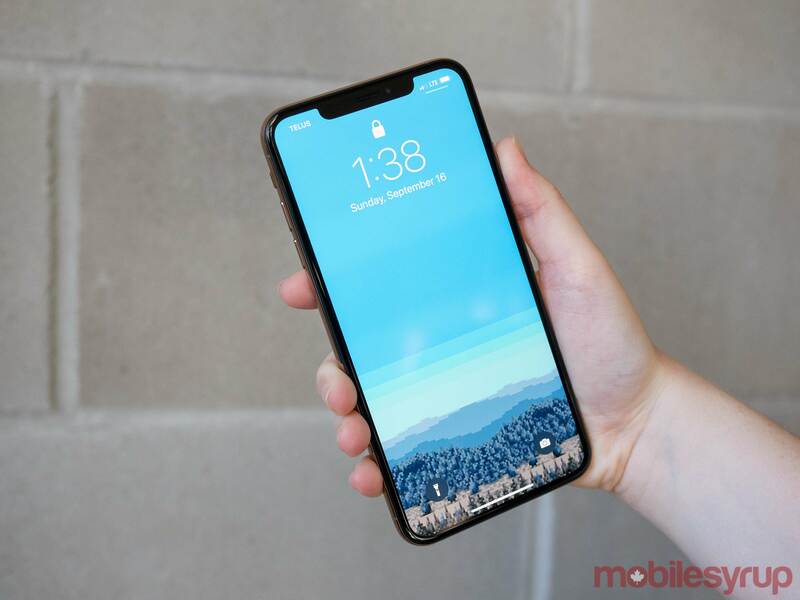 While the XS Max’s display does indeed measure in at roughly 6.5-inches, the phone still features the same approximately 5.5-inch body as the iPhone 8 Plus. 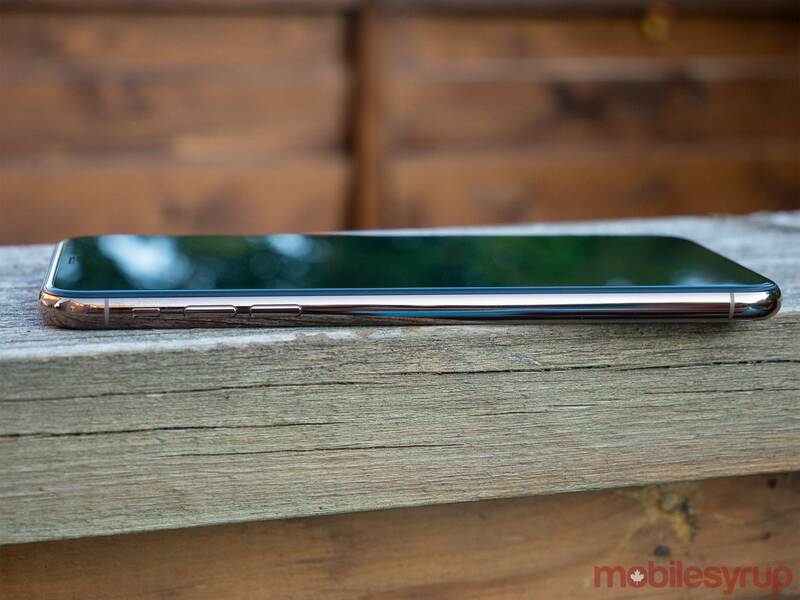 This means that thanks to the XS Max’s minimized bezels, Apple was able to cram a full additional inch of screen real-estate. To be clear, not everyone is going to appreciate the Max’s enormous display. Those with small hands or who typically scoff at oversized phones won’t be interested in the Max. Still, for those of us who have been hooked on the Plus version of Apple’s smartphones since the iPhone 6S, it’s nice that Apple now sells a modern iPhone with a big screen. You also might be wondering why Apple opted to ditch the Plus name in the first place. 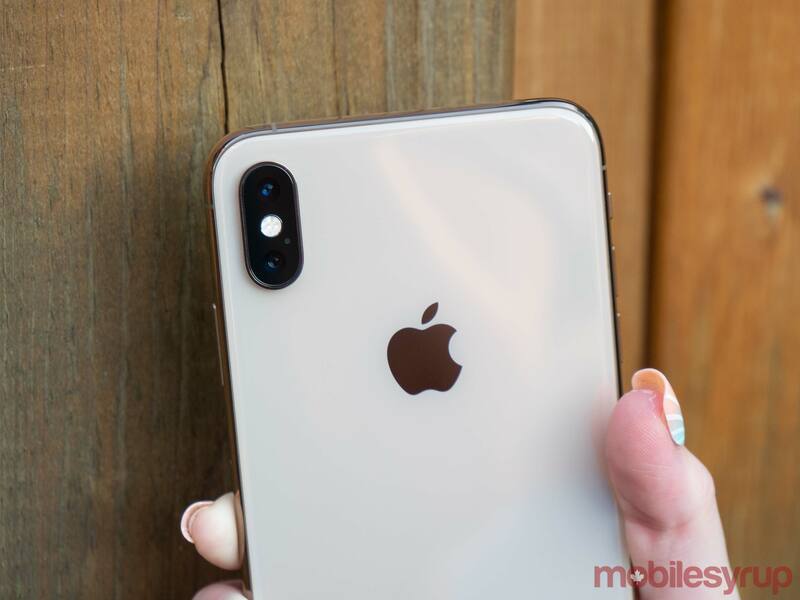 Unlike past versions of the iPhone — for example, the iPhone 8 and iPhone 8 Plus — both the XS and the XS Max include dual cameras, resulting in feature parity across both smartphones. Though I don’t necessarily think the term ‘Max’ was the right option to denote this shift, I do understand why Apple made the decision to switch up its naming conventions. Still, I can’t shake the fact that the iPhone XS Max’s name sounds like a mid-2000s Capcom fighting game when said out loud. As with most smartphone releases in the now established era of incremental upgrades, under the hood is where the XS is more interesting. First off, the iPhone XS and XS Max now feature IP68 water and dust resistance. This means both devices can be submerged in water at a depth of up to two metres for approximately 30 minutes. Apple also claims that the iPhone XS is able to shrug off spills from other liquids, including coffee, tea and carbonated beverages. Another improvement comes in the form of wider stereo sound. While the iPhone XS’ speakers aren’t necessarily louder, their soundstage is more robust and expansive. It feels like the XS’ audio travels a greater distance, yet still remains crisp and clear. I wouldn’t go so far as to say the iPhone XS’ audio quality surpasses that of Samsung’s Note 9, the current top-tier sound offering when it comes to smartphones, but it comes close. It would have been nice to see Apple follow in the steps of some of its Android peers and add support for Dolby’s Atmos surround sound technology. The XS is also capable of recording stereo audio, a first for Apple’s iPhone line. Other iPhone X additions like wireless charging are also back this year, with the feature being slightly easier to use thanks to what Apple is calling off-axis performance. This allows the iPhone XS to charge even when it’s not placed on the centre of a charging pad. As someone who only just realized the wonders of wireless charging after using the iPhone 8 last year, this is definitely a good move on Apple’s part. The other major under-the-hood improvement with the XS stems from Apple’s new 7-nanometre A12 Bionic processor, which features the company’s next-generation Neural Engine. In total, the A12 Bionic features 50 percent faster GPU performance, 50 percent lower power usage and 15 percent faster performance with its individual cores, according to Apple. It’s also worth noting this is the first 7-nanometre chip to make its way to North America. 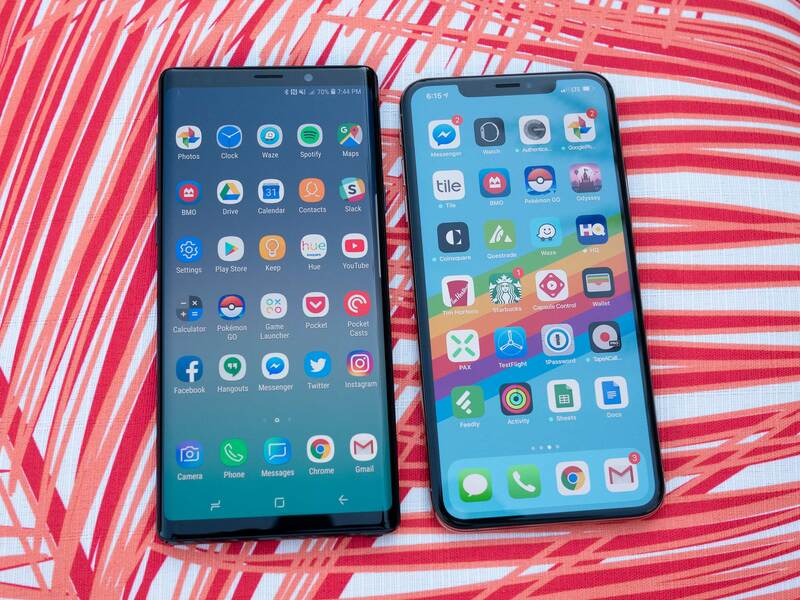 Similar to other high-end smartphones, including last year’s iPhone X and arguably any Android device that features Qualcomm’s powerful Snapdragon 845 processor, few users out there will ever need this amount of power in a smartphone. That said, the A12 Bionic chip handles tasks like editing photos with Pixelmator and playing high-end graphically-intensive games, especially recent ARKit titles that feature multiplayer like AR Smash Tanks, with ease. When I’m working on a smartphone review, I always push the device to its limit by booting up a few graphically impressive games. In the case of the iPhone XS, I took this strategy even more seriously given Apple’s lofty claims about the smartphone’s A12 processor. 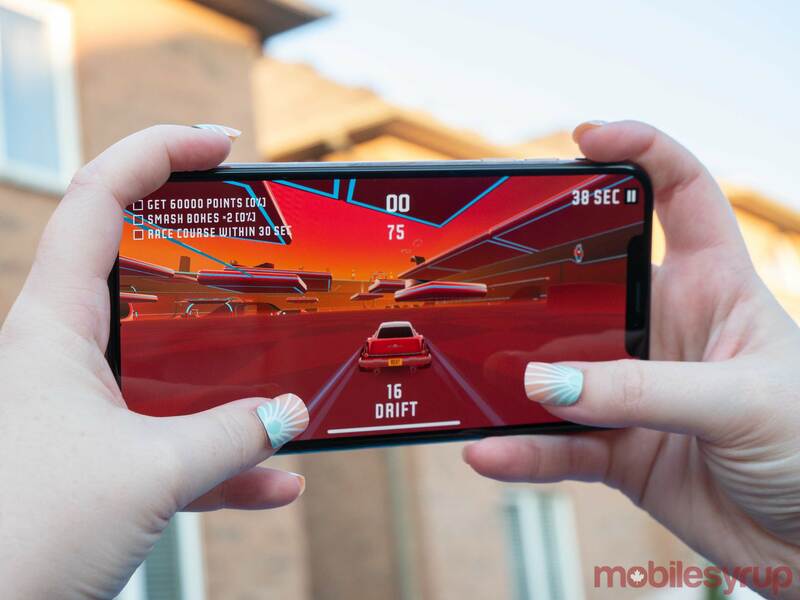 I played REKT, a Tony Hawk’s Pro Skater and Rocket League-inspired vehicle game, Alto’s Odyssey, Pokemon Go and even Splitter Critters‘ new AR Mode extensively during my time with the smartphone. With one exception while playing REKT, my experience with the iPhone XS over the last few days has been smooth. The smartphone was able to easily handle whatever I threw at it, even while rapidly multi-tasking. 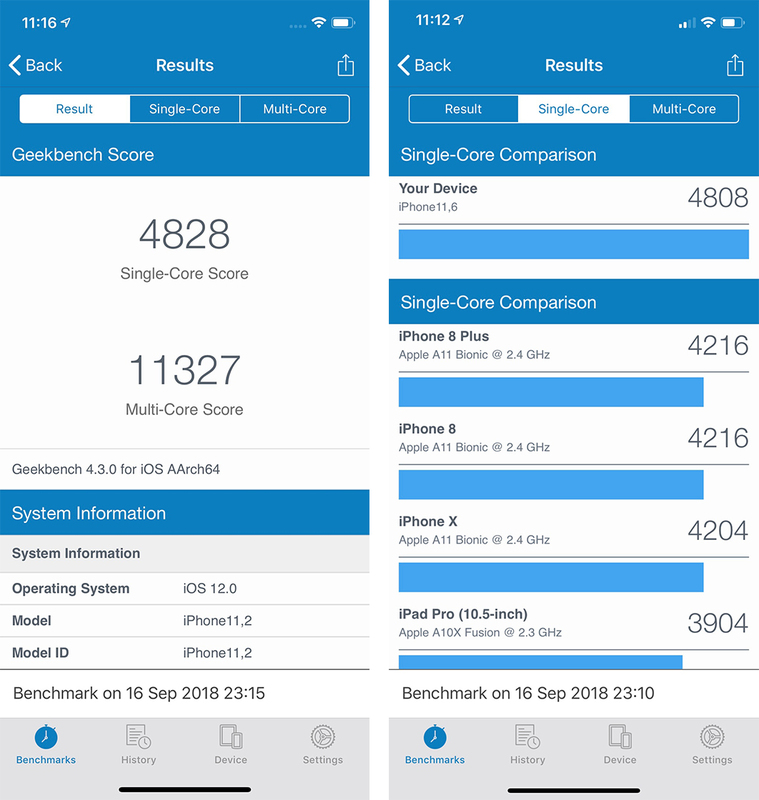 However, given the iPhone XS and XS Max’s expensive price tags, this level of performance should be expected. 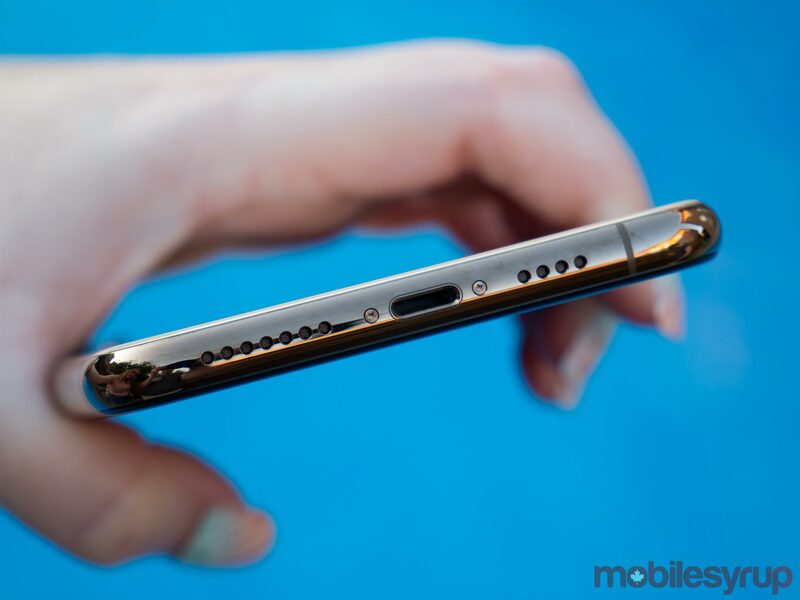 The iPhone XS and XS Plus don’t feature a standard 3.5mm headphone jack, just like Apple’s more recently released iPhones. In a cheap move on Apple’s part, the company has also ditched the included Lightning-to-3.5mm adapter in the smartphone’s box. This means that if you have a pair of high-end headphones you want to use with the XS, you’ll need to shell out $10 for the adapter. While we’re now on the third-generation of iPhones to ditch the headphone jack, this move is unnecessary given the cost of the of the XS and XS Max. Finally, the phone’s battery life measures in at roughly a day, whether I was using the iPhone XS or the XS Max. This number is comparable to my experience with the iPhone X over the past year. On the display front, the iPhone XS features a 5.8-inch OLED screen with a resolution of 2436 x 1125 pixels with 458ppi, while the iPhone XS Max includes a 6.5-inch OLED screen with a 2688 x 1242 pixel display with 458ppi. What’s different this year is the inclusion of Dolby Vision and HDR10, resulting in an improved contrast ratio between supported content’s darkest blacks and lightest colours. 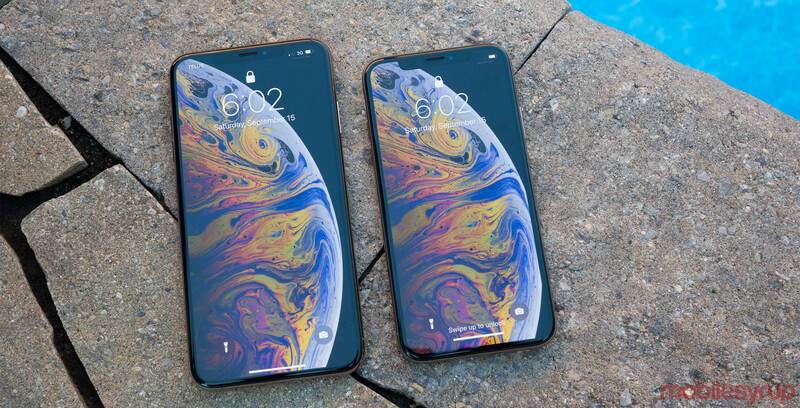 Unlike the upcoming entry-level iPhone XR, which includes an LCD display, the XS and the XS Max once again feature OLED screens. In short, the iPhone XS, and in particular the XS Max, include the best display I have ever encountered in a smartphone. Colours pop from the screen’s P3 colour space, with the improvements being even more apparent while watching high-dynamic range content through compatible apps. When it comes to high-dynamic range and the iPhone XS, a few questions still remain. 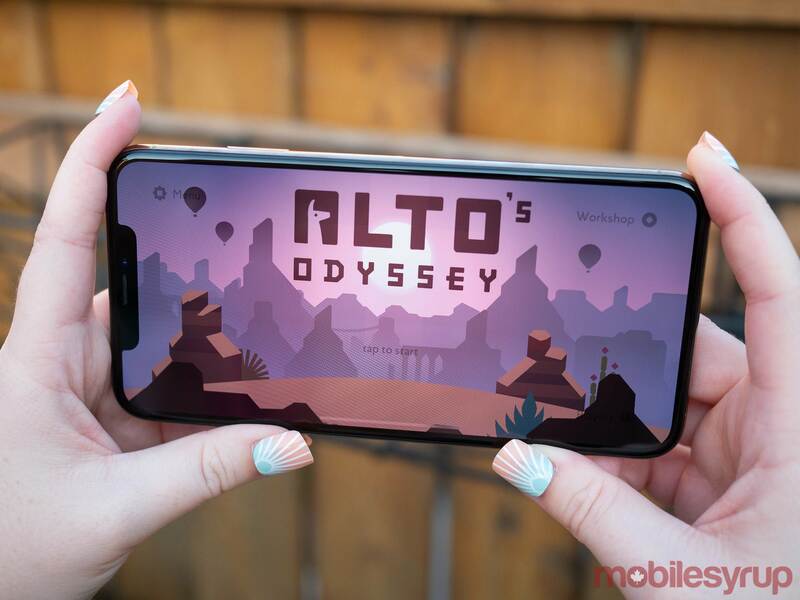 It’s unclear if app and game developers will be able to take advantage of the iPhone XS’ HDR capabilities in their own applications, or if the feature will be confined to video use. Further, as it stands, only Netflix, as well as Apple’s own TV and Movies app, support HDR 10. Just like televisions, mobile HDR is still in its infancy. So while the iPhone XS and XS Max’s display might look stellar when playing high-dynamic range content, there’s just not much video out there that supports the technology — at least not yet. It’s also worth noting that dual SIM functionality is coming to the iPhone XS in the form of eSIM support. 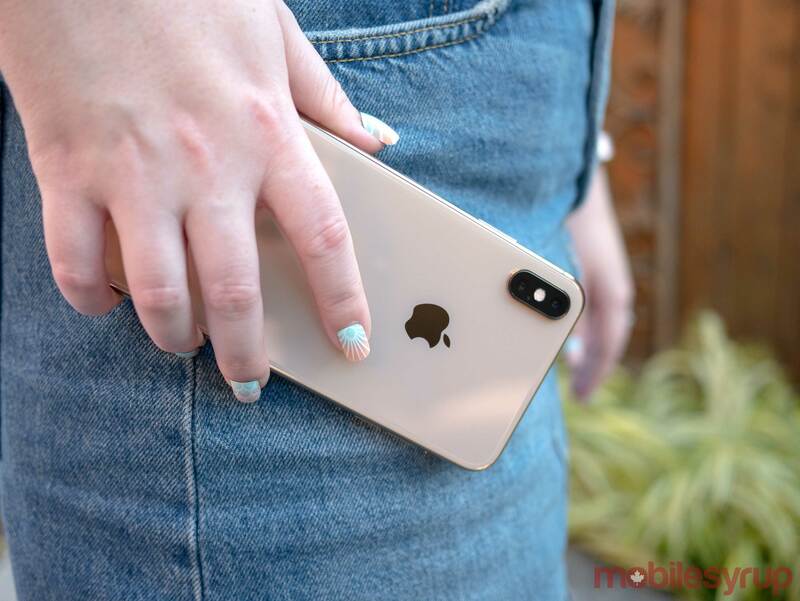 Right now, only Bell has confirmed it plans to offer eSIMs for the iPhone XS, though Rogers has stated in the past that it will roll out eSIM support by the end of the year. If you happen to travel frequently or want just one smartphone for both work and personal use, this functionality will likely appeal to you. 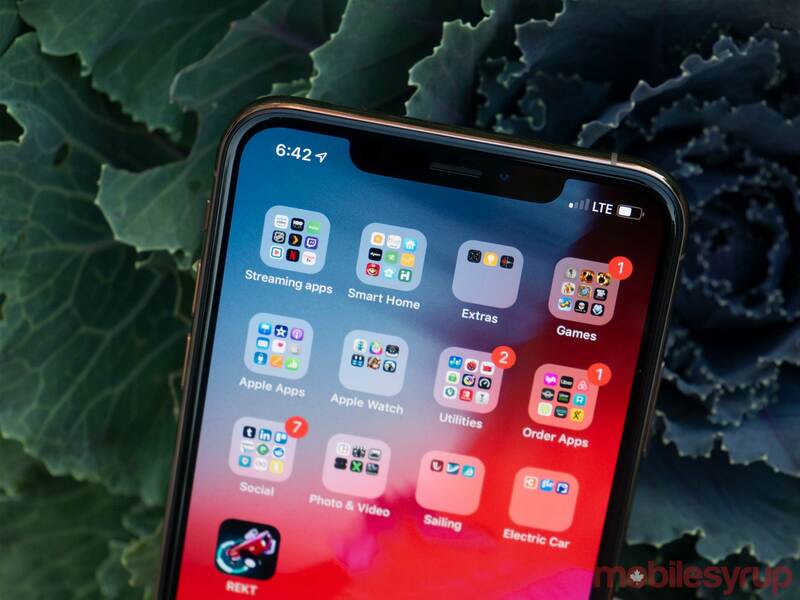 Apple says eSIM support is officially rolling out at some point this fall in an update to iOS 12, so the feature won’t be available immediately at launch. Finally, the iPhone XS and XS Max also feature gigabit-class LTE. While we won’t experience real-world gigabit speeds in Canada any time soon, this performance bump should result in faster download and upload speeds compared to previous iPhones. Using Ookla’s speed test iOS app with the iPhone X and Telus as my carrier, I ended up with 131Mbps download and 27.3Mbps upload. When running the same Telus speed test with the iPhone XS, the results indicated 167Mbps download and 41Mbps upload, a surprisingly substantial jump in speed. 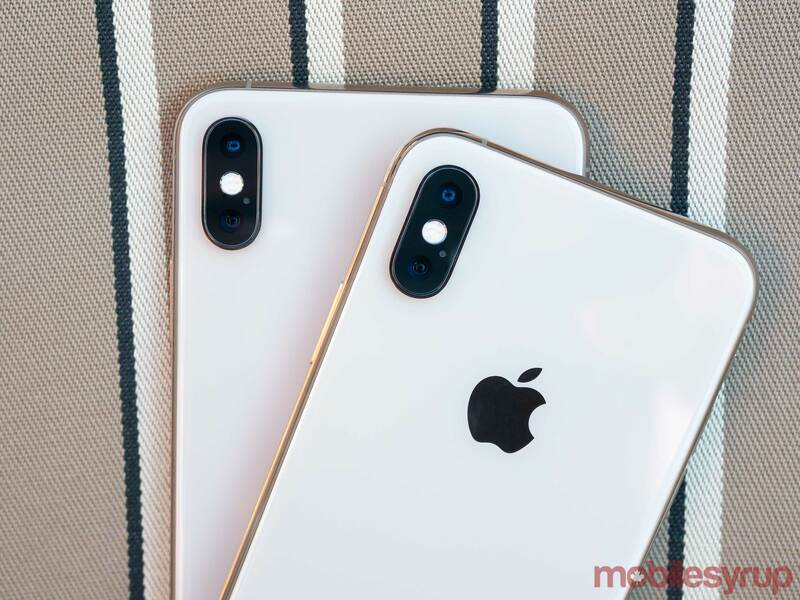 When it comes to their cameras, on paper the iPhone XS and iPhone XS Max, both of which feature dual rear cameras, are identical to the iPhone X. The iPhone XS’ rear 12-megapixel camera array features an f/1.8 wide-angle lens, coupled with an f/2.4 telephoto lens, dual optical image stabilization and the ability to shoot 4K video at 60 frames per second. What’s different this year is a new main sensor with larger pixels, which Apple says results in improved colour fidelity and better low-light performance. Photos I shot with the iPhone XS generally look great, especially under low-light, though not significantly better than images I snapped with the iPhone X last year. I had similar feelings about the iPhone XS’ new Smart HDR feature. Smart HDR, which is powered by Apple’s Neural Engine, stitches multiple photos together in order to get a single image that avoids blown-out, bright areas. 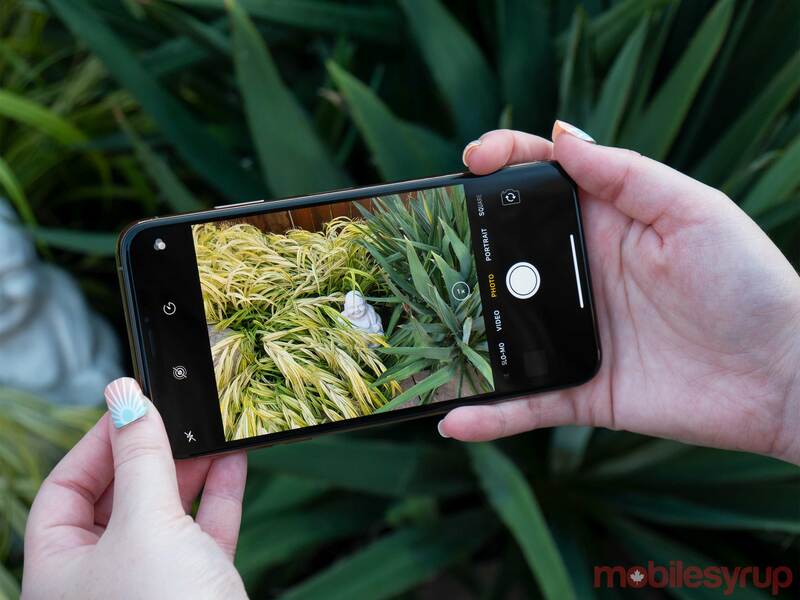 On paper and in practice, this technology is very similar to Google’s approach to HDR photography with its Pixel 2 smartphone and Visual Core chip. Again, just like other camera upgrades, I found the shift in quality negligible, though still an improvement over the iPhone X’s shooter. Where the iPhone XS’ camera truly shines is when it comes to the smartphone’s new Depth Control feature. 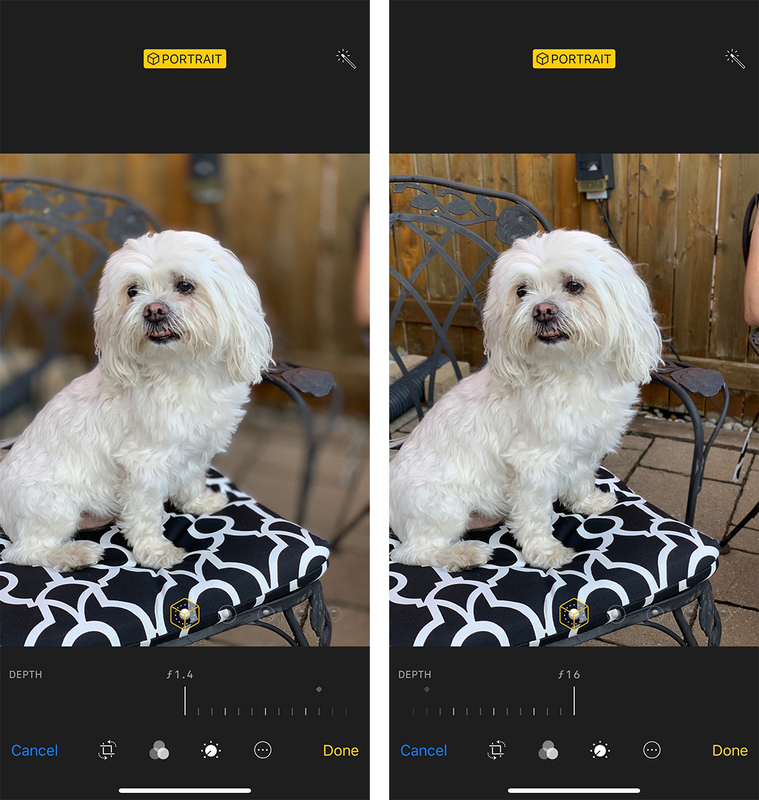 This functionality allows users to alter the depth-of-field of a ‘Portrait Mode’ image after shooting it. To be clear, this isn’t a new feature when it comes to other smartphone cameras; in fact, Apple’s implementation is very similar to what Samsung has done with its ‘Live Focus’ features, as well as other features included in various Huawei devices over the years. What makes Apple’s take on the digital bokeh effect stand out is the fact that it’s so much better than anything else out there. It’s also extremely subtle when only turned up slightly, unlike Samsung’s processed-looking Live Focus. It’s also worth noting the clever Portrait Lighting effects that came to the iPhone X last year are back once again, only they can now be viewed in real-time. The front-facing 7-megapixel TrueDepth camera returns with Apple claiming that the XS’s Neural Engine is capable of logging users into the device quicker than the iPhone X. While this is true, the difference in login speed wasn’t very apparent in my experience and likely won’t be noticed by most users. After roughly a few days of use and repeated logins, Face ID still works just as good and in some cases better, than Touch ID. Update 23/10/2018 12:15pm: Apple says it will fix the iPhone XS’ and iPhone XR’s photography skin-smoothing issue with iOS 12.1. With the colourful, just as powerful and slightly cheaper iPhone XR's October release date looming on the horizon, the top-tier XS has suddenly found itself in an interesting position. 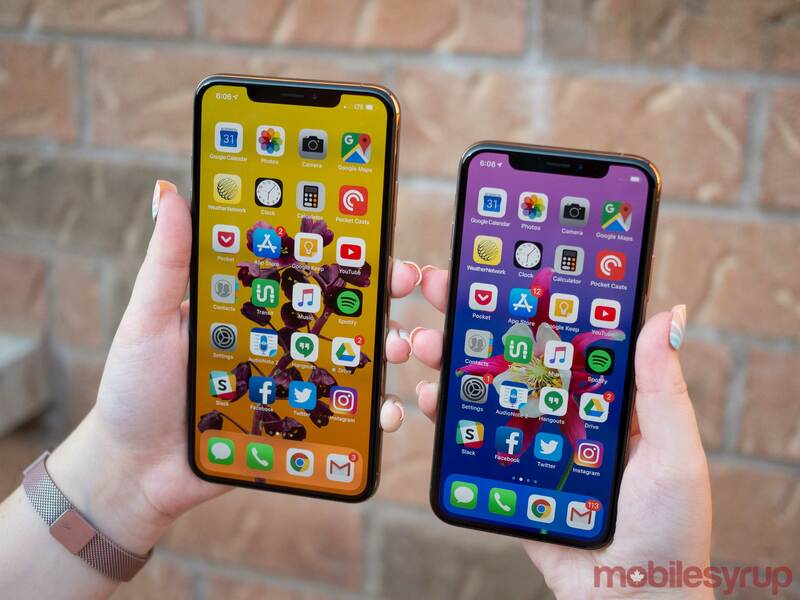 Unless the XS's clever camera tricks, including the ability to 2x zoom, Force Touch and its stellar OLED display are really that important to you, Apple's $1,029 CAD iPhone XR will likely be a better option for most consumers -- plus, it's colourful and cool looking. The XS, and even more so, the XS Max, are high-end, luxury smartphones designed for those that expect the absolute best out of their devices. Further, there's a possibility that the XS could last users somewhere in the territory of three to four years if the phone is properly taken care of, which makes the over $1000 price tag a little easier to swallow. If this sounds like you, then you'll likely find a lot to like about Apple's latest pair of flagship handsets. But if you're the average iPhone user and you're still hanging onto an iPhone 7, 6 or 6s, and are looking to upgrade, you're probably going to be better off waiting for the iPhone XR. The 5.8-inch iPhone XS starts at $1,379 CAD. The 256GB iPhone XS retails at $1,589 and the 512GB variant costs $1,859. Meanwhile, the 6.5-inch iPhone XS Max starts at $1,519, the 256GB variant costs $1,729 and lastly, the 512GB retails at an astonishing $1,999. 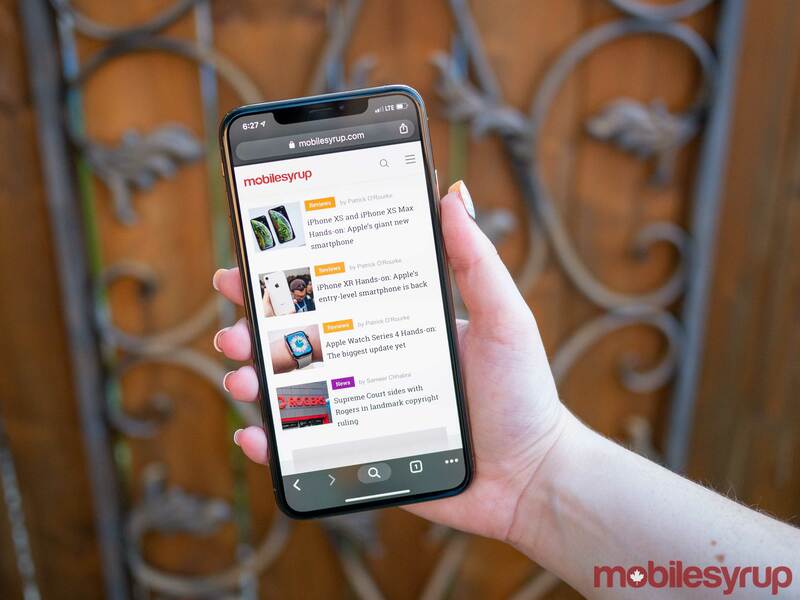 "The XS and even more so, the XS Max, are high-end, luxury smartphones designed for those that expect the absolute best out of their devices."